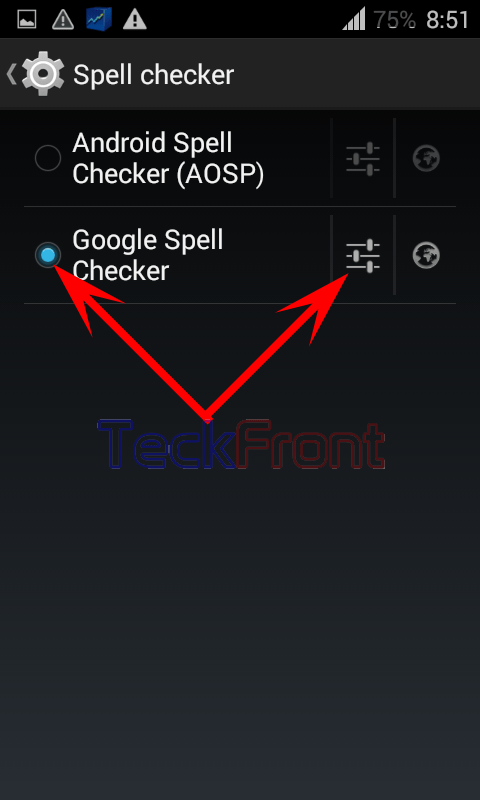 How to Choose Android or Google Spell Checker in Android 4.4.4 KitKat Device? 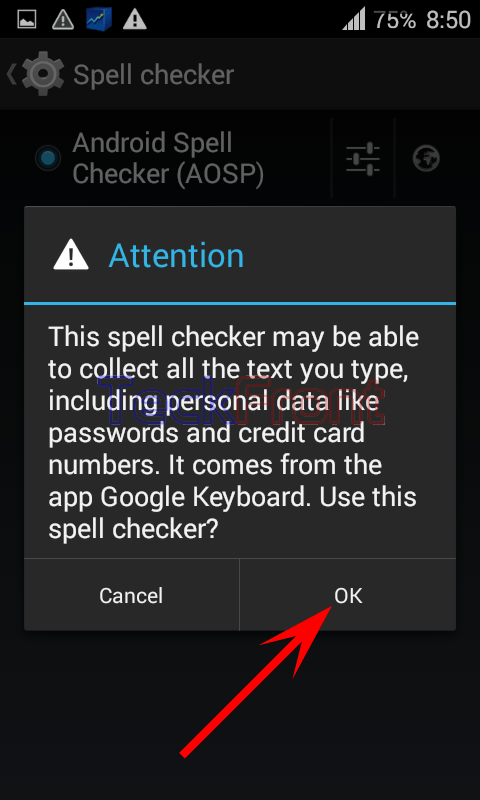 When the spell check is enabled on the Android 4.4.4 KitKat device, the next issue is there to select the spell checker which is appropriate to your language and requirement. One spell checker, set by default, is Android Spell Checker (AOSP) but you may download and select Google Spell Checker. It will come with Google Keyboard. Interestingly, both the spell checkers are developed by one company but keeping an eye on the different specific end user. The selection of the specific spell checker depends, largely, upon the need, requirement or the choice of the Android user and the receiver of the message. The selection of the specific spell checker is an easy process, depending upon few taps of the keys. To understand the process, follow the instructions. Command Line: Settings – Home > Language & input – PERSONAL > Language & input Screen > Spell Checker: Settings. 1: Follow the instructions to open up the ‘Language & input’ screen of our Android 4.4.4 KitKat device. 2: See the status of the ‘Spell Checker’. If it is not checked, its ‘Settings’ button will also be disabled. 3: If the ‘Spell Checker’ is checked and enabled, its ‘Settings’ button will also be enabled. 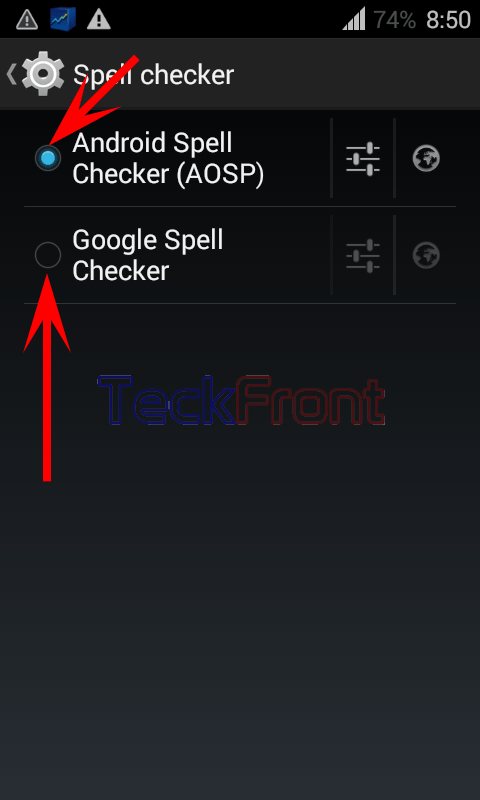 5: See the status of the ‘Android Spell Checker (AOSP)’ is checked and enabled by default. 6: If you want to change the spell checker, from Android Spell Checker to Google Spell Checker, just tap the ‘Google Spell Checker’. It will open up a prompt, warning that this spell checker is there with the Google keyboard. 7: Tap ‘OK’ to accept and save the change. It will take you back to the ‘Spell checker’ screen. See the ‘Google Spell Checker’ is checked and enabled now. Newer How to Choose Input Method (Keyboard) in Android 4.4.4 KitKat Device? 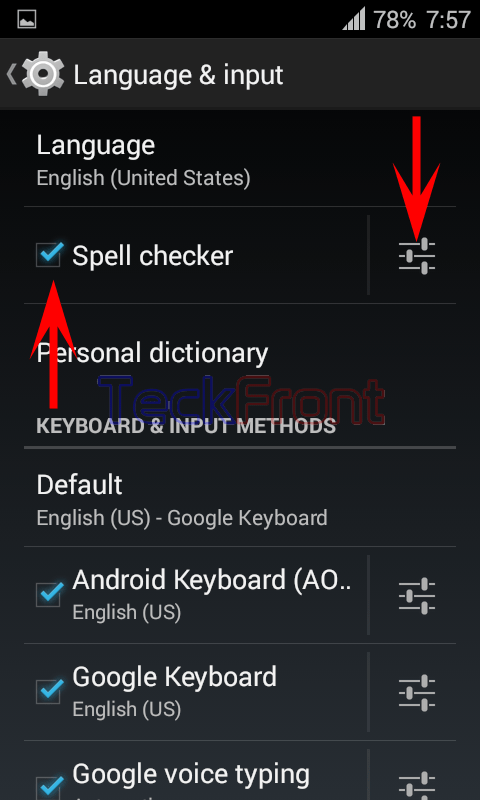 Older How to Enable Spell Checker for Messages in Android 4.4.4 KitKat Device?